Why put up with a noisy gas mower, not to mention oil changes and other messy maintenance, when you can just charge a battery and mow? 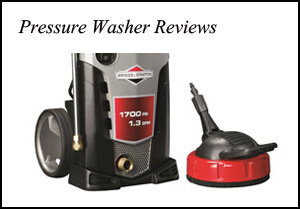 Let’s look at these two models from Black & Decker to see which one is best for you. The SPCM1936 has a lot of convenient features that make mowing something you look forward to doing. For one, this mower is self-propelled with various mowing speeds. This means you only need to guide it, not push it. That’s a blessing on hot days! Of course, if your yard has rough terrain or a lot of slopes, the battery may drain faster. Let’s look at the battery a little closer. First, it’s lead-acid, which means that it works best if charged right after being used, and it takes up to 12 hours to fully charge it. Frequent charging doesn’t damage it, but storing it partially charged will sap its power. The battery is easy to remove by lifting the latch on top of the mower and pulling up on the battery itself. Look at the indicator on top of the battery to see how much it has drained. Black & Decker says that it may take up to two charge cycles before the battery begins to operate at full capacity. Since the SPCM1936 is a cordless mower, there is almost zero maintenance to do on it. The main things to do are to keep the battery charged and check the blade to see if it needs sharpening. The body, or deck, is polycarbonate plastic so it will never rust, and this part has a lifetime warranty. One last note: if you find that the wheels lock up, train yourself to release the orange bail handle before you come to a complete stop. The CM1936 has two advantages over the SPCM1936: it weighs 18 pounds less and comes with a mulching insert, or plate, as Black & Decker calls it. The main disadvantage is that it is not self-propelled. This mower is like the SPCM1936 in that it covers about 1/3 of an acre on one charge. That’s about 14,000-square feet. Of course, rough terrain like taller grass and slopes may reduce its runtime. The battery is the same lead-acid model as in the other mower, and it takes about 12 hours to charge from empty. This is a battery you can leave on the charger. In fact, it’s better to do that than to store it only partially charged. There are seven different wheel heights to choose from, from 1.5 to 3.5 inches high. There is just one lever to pull to adjust it, which is so much nicer than having to do each wheel independently. But on to the reason you’ve read this far: the ability to mulch. First, insert the mulch plate inside the flap on the back. Then the mower cuts the grass clippings into smaller bits. If you choose to discharge them onto the grass, the bits blend in nicely and there’s no need for raking or cleanup. Plus, the clippings are fertilizer for the lawn. You end up saving time and money by mulching—no cleanup and less fertilizer to buy. Mulch doesn’t add to thatch, so you don’t have to worry about that. When you’re all done with the CM1936, fold down the handle and store it in a small space. Remember to charge the battery! If you want a self-propelled mower, consider getting the SPCM1936. 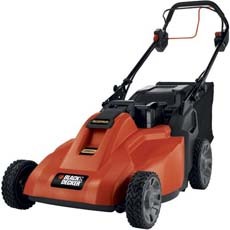 It has a wide range of speeds to accommodate your stride while mowing and makes cutting the grass so much easier. If you want to mulch, and you don’t mind pushing your mower, go with the CM1936. It comes with the mulch plug insert ready to go. 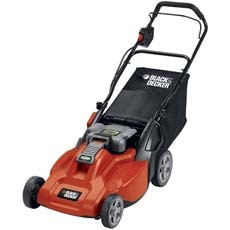 Click here to purchase Black & Decker Cordless Lawn Mowers on Amazon!